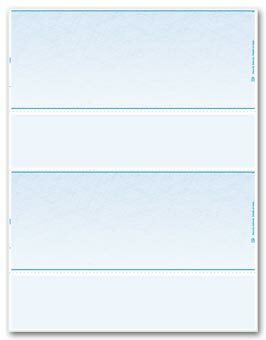 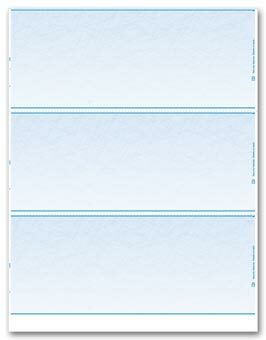 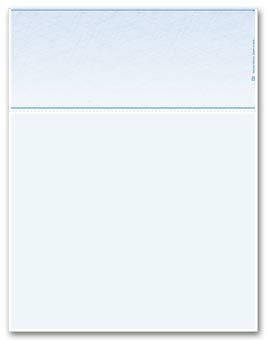 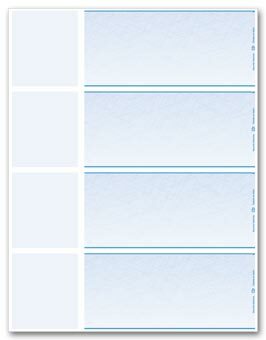 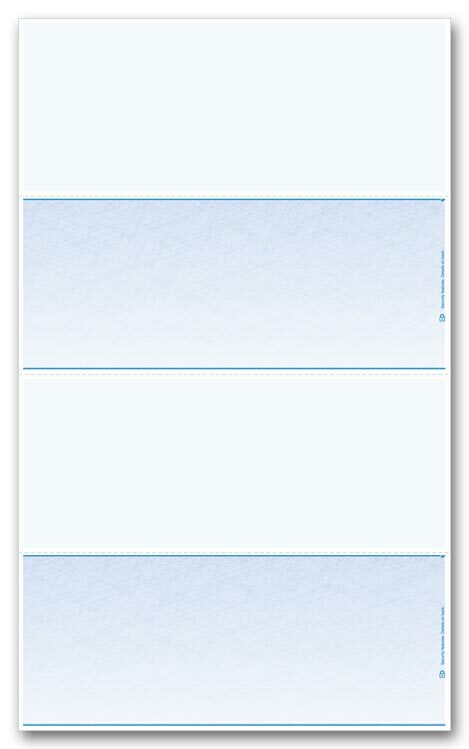 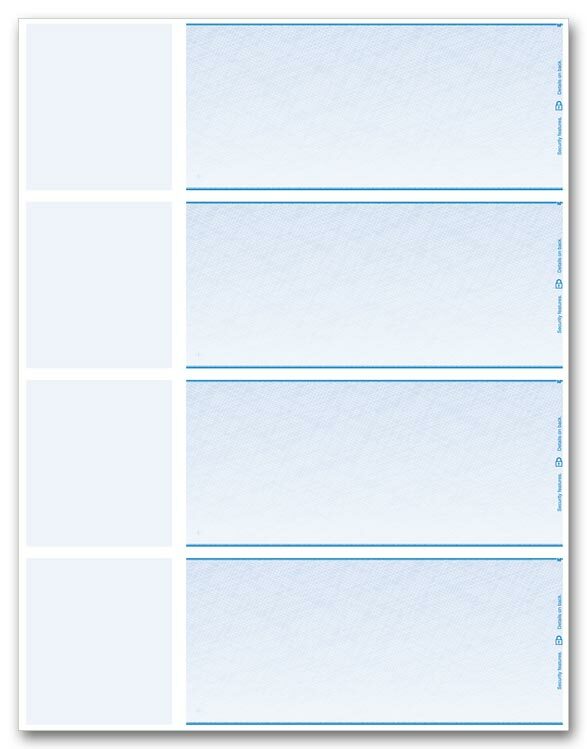 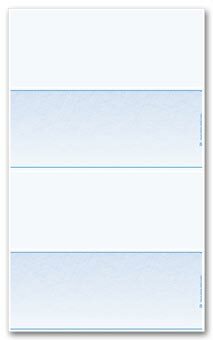 Our economical 2-up blank laser checks save time, paper & money - letting you manage multiple accounts with 1 check stock! 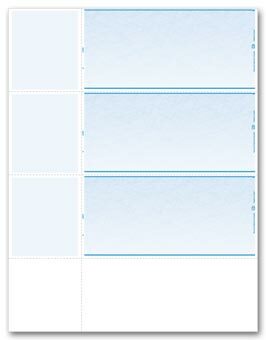 Manage multiple accounts efficiently by using one check for all accounts! 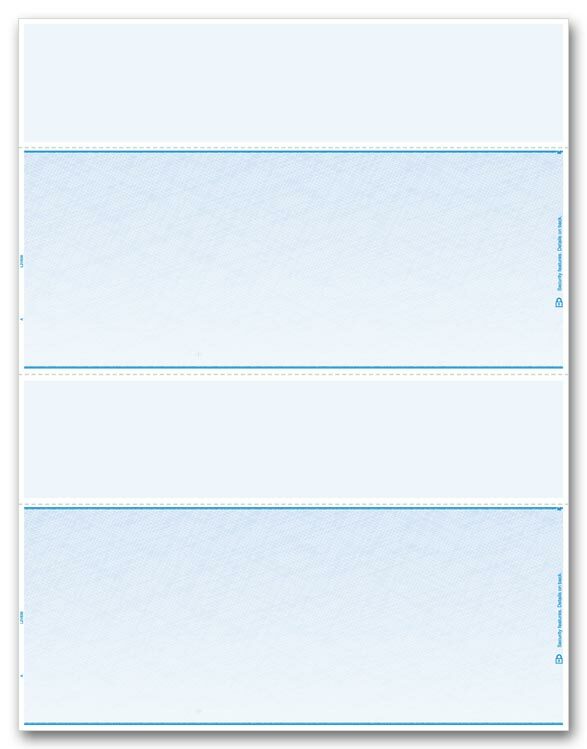 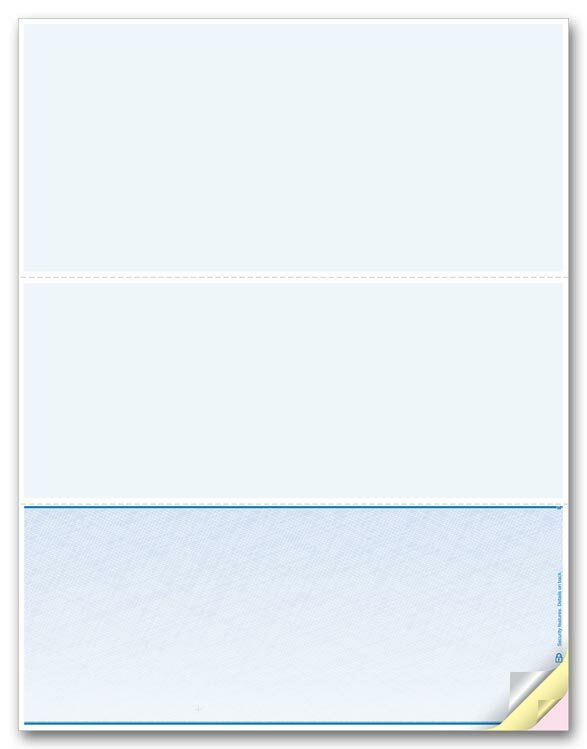 Our blank bottom laser checks cost less than custom printed business checks & work easily with your financial software!Efficient blank bottom checks are great for multiple accounts - save money, time & space with only 1 check inventory to manage.Reduce check fraud risks! 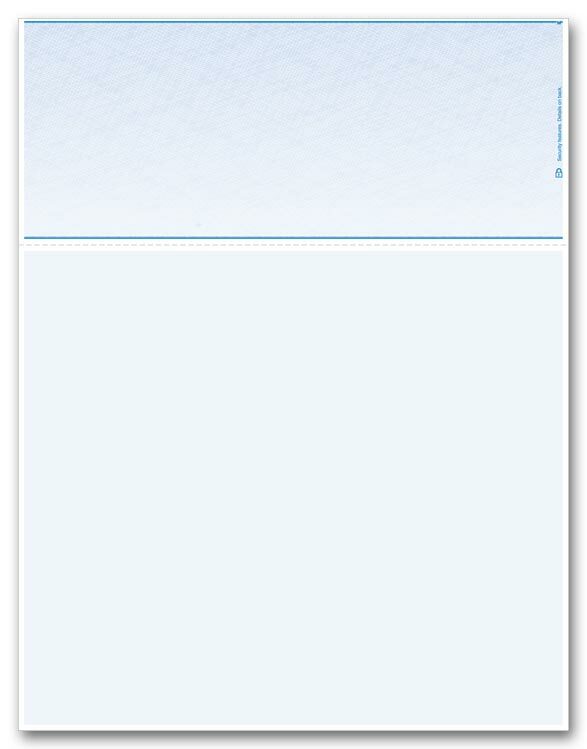 Our blank computer check stock features advanced security features, while keeping account numbers confidential until printing. Efficient blank computer checks are great for multiple accounts - save money, time & space with only 1 check inventory to manage.So versatile! 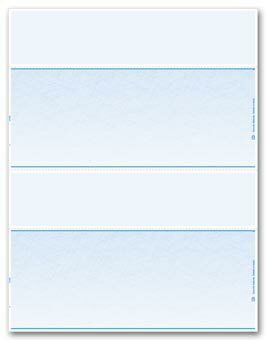 Our compatible business checks streamline payments & handle ALL your expenses affordably!. 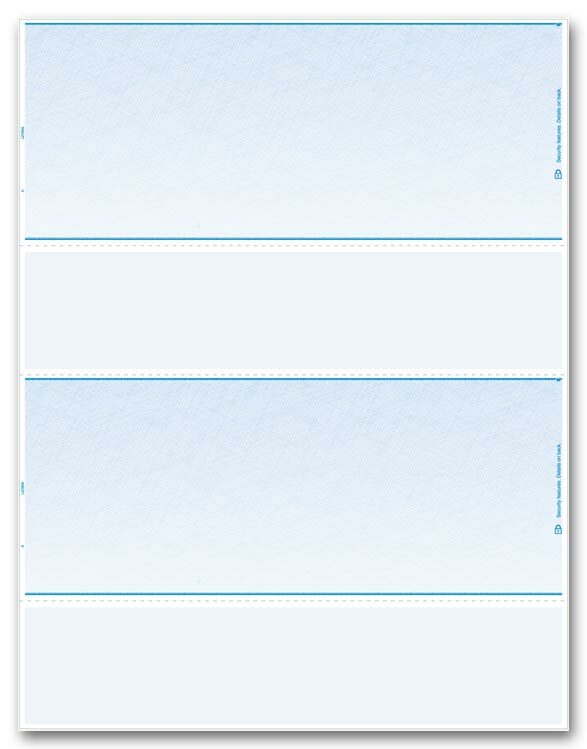 Inexpensive blank laser checks cost less than custom printed checks & feature a BIG 7 1/2 voucher you can format for any purpose or account!Efficient blank top checks are great for multiple accounts - save money, time & space with only 1 check inventory to manage.Reduce check fraud risks! 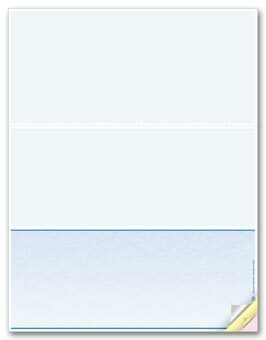 Our blank computer check stock features advanced security features, while keeping account numbers confidential until printing. 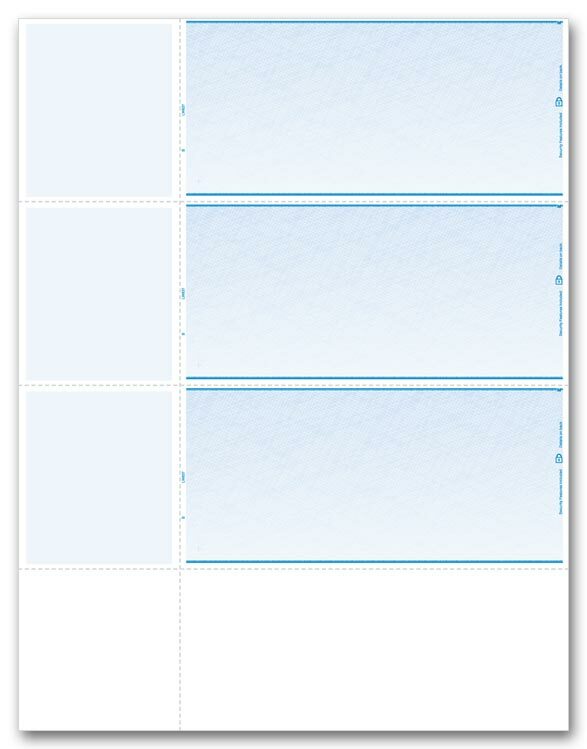 Our laser 4-up wallet business checks make it easy to manage multiple accounts efficiently by using one check for all accounts!